Luo Shugang, China's culture minister, at the invitation of his Spanish counterpart, í igo Méndez de Vigo y Montojo, visited Spain with a Chinese cultural delegation from Jan 28-31. 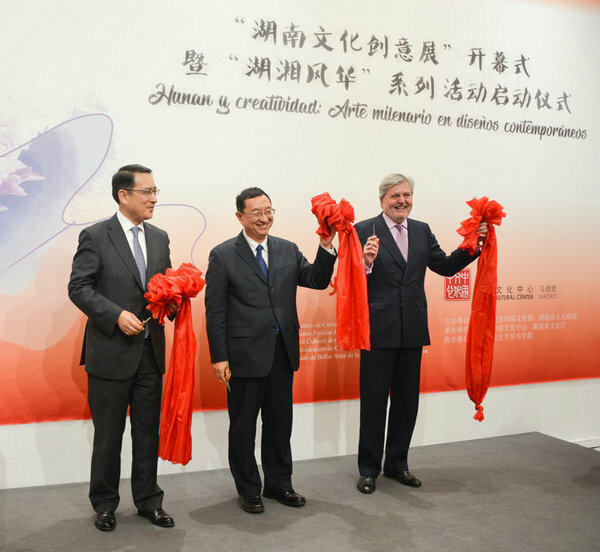 This visit is part of the efforts to strengthen the cultural ties between China and Spain. 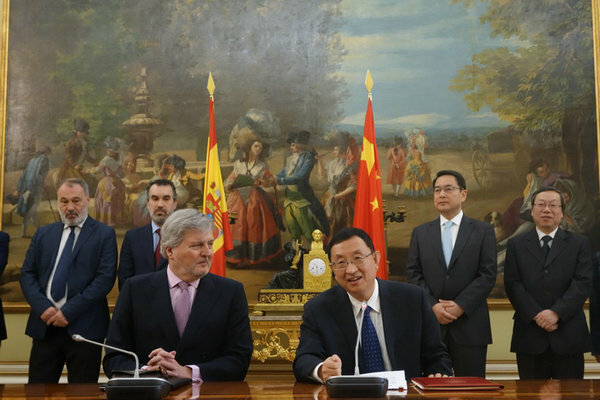 On Jan 29, Luo and Méndez de Vigo held bilateral talks and signed an agreement on the cooperation between China and Spain in culture, youth, and sports for 2018-21. China's Ambassador to Spain, Lyv Fan, also attended the meeting. Luo said China and Spain have maintained strong cultural ties in recent years. The culture center of each country has played a major part in promoting cultural exchange, mutual understanding and friendship between the two nations. China would like to push forward the cultural cooperation under the framework of the Belt and Road Initiative to create a solid cultural foundation for the comprehensive strategic partnership between the two countries. Méndez de Vigo also said Spain is satisfied with the achievements of the cultural exchange and cooperation with China, and Spain would closely cooperate with China to enhance cultural ties. 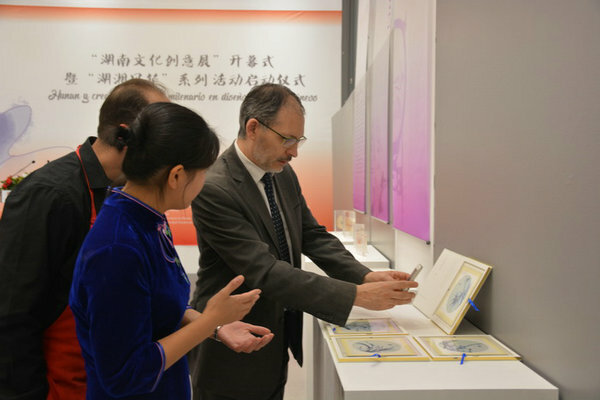 On the evening of Jan 29, the launch ceremony of 2018 Happy Chinese New Year celebrations and the opening ceremony of the Creative Exhibition of Hunan Culture were held at the China Culture Center in Madrid. Luo, Méndez de Vigo and Lv cut the ribbon at the ceremony to kick off the global celebrations of 2018 Happy Chinese New Year. Luo introduced the Happy Chinese New Year event, a major cultural project initiated by the Ministry of Culture of China in 2009. For celebrating the 2018 Chinese Lunar New Year, over 2,100 cultural activities will be held in over 400 cities across 129 countries and regions worldwide. More than 100 people, including many Chinese and Spanish officials, attended the ceremony.